On this episode of The Law Show, we speak with one of the founding partners of Murphy Battista LLP, Joe Murphy Q.C. This episode covers distracted driving during a change in weather here in BC, ICBC rate increases, the liability of hosting people over the holidays. 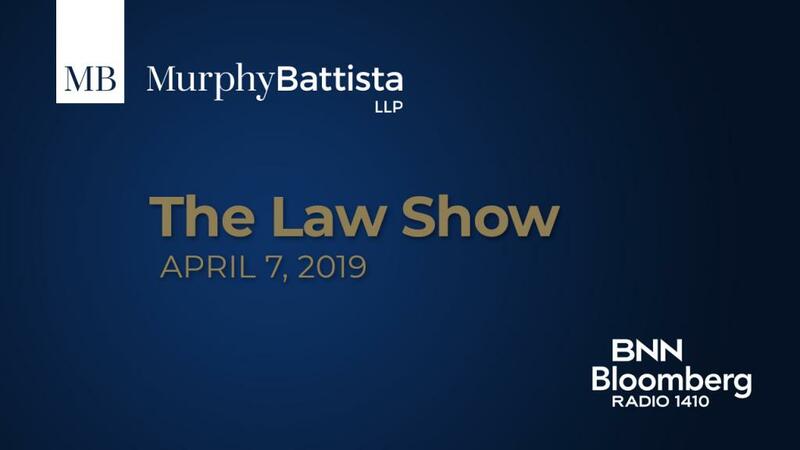 In this episode of the Law Show, Murphy Battista LLP partners, Joe Murphy, Q.C. and Joe Battista, Q.C. discuss soft tissue claims and how this can affect you in the long run, as well as ICBC rate hikes. In this episode of the Law Show, Murphy Battista Lawyers, Joe Murphy, Q.C. and Joe Battista, Q.C. discuss the complex legislation around pitbull ownership, and the power of attorney.